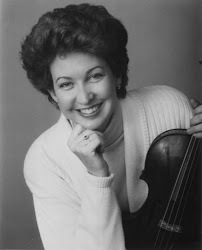 Ellen Rose's book, Extreme Viola: A 12-week Course in Scales, Arpeggios, and Double-stops, second edition, from ESOR Publications, is now available through Amazon. Ellen Rose's book, Extreme Viola: A 12-week Course in Scales, Arpeggios, and Double-stops, second edition, is currently being printed by ESOR Publications. When the book is bound and delivered, it will be sent to Amazon for wide availability. The current anticipated availability date is September 20, 2016.